Ingredients: Salt, Sugar, Dehydrated garlic and onion, black pepper, paprika (color), extractives of celery, spice, corn starch, turmeric (color), extractives of paprika (color) and not more than 2% tricalcium phosphate added to prevent caking. BPS rubs are the best...I mean they truly crush it (all the time!). I have never had one that I haven't wanted to reorder. So with my last order I decided to add some Little Louie's because of the great reviews. Maybe, I don't get it? I mean its good, but it tastes like Lawry's with black pepper added. I guess I expected something a little different? I'll be putting it to the test over the next few days, but it doesn't taste "unique" to me and I doubt I'll reorder like the other killer BPS rubs (Money, Sweet Money, Cash Cow, Desert Gold). I use this on turkey burgers before throwing them on the grill and it makes the flavor pop. Fantastic. I'm sure its great for other purposes but I can't recommend it any higher for burgers. Everyday I find more uses for this rub. I have to say my favorite is on garlic bread though, a bit of butter and some Little Louis and its a perfect match! 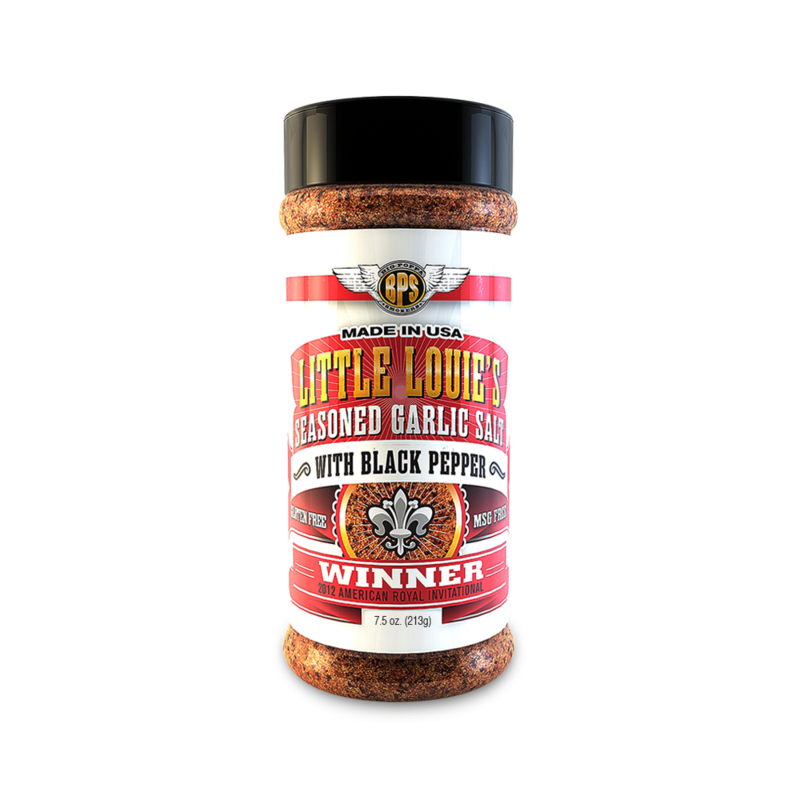 Also try and use it mixed with your favorite other rubs (like double secret) and you have an even better steak rub. Simply put, its a great rub to have around the house.